Douglas Reilly died peacefully at home in Laguna Beach, after a long illness, at age 62. Doug was born in New York City and spent most of his childhood and his 20s in New Jersey. He earned a Bachelor of Arts degree in political science from Rutgers University, where he also completed graduate work in business and law. He was a political activist from the time he was in high school in Chatham and worked on many political campaigns. It was during the re-election campaign of New Jersey Gov. Brendan Byrne that he met his wife, Melanie Willoughby, to whom he was married for eight years. Reilly entered government service in 1979, when he went to work for the New Jersey Department of Transportation as director of ride sharing. In 1986 he moved to Pasadena, Calif., where he served as manager of transit and commuter services for the city until 1990. 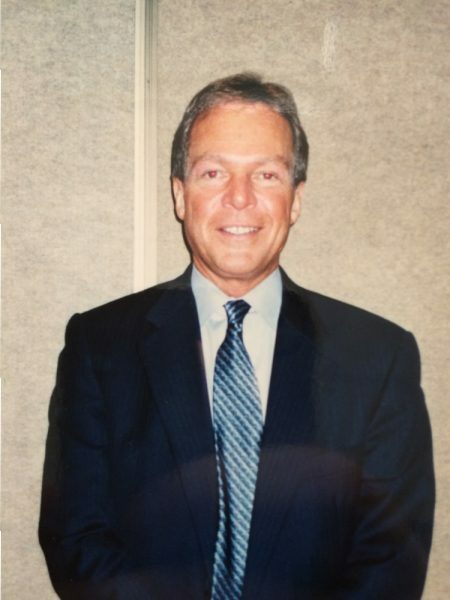 He was executive director of Irvine’s Transportation Authority from 1990-1992. In 1993 he opened a consulting firm that provided a vast array of financial, analytical, public advocacy, marketing, information technology, and event promotion services to both public and private clients. In 2000 he went to work for the newly formed city of Laguna Woods, where he quickly rose to the position of assistant city manager. During his more than 16 years with the city he took leadership roles in nearly every aspect of its operation, completed numerous major projects, and helped obtain millions of dollars in grant funding. In those years he lived in Laguna Beach, where he served a term as planning commissioner. He was also a member of the board of Village Laguna, serving at various times as president and as treasurer and producing its monthly newsletter. He was an art lover and a member of the board of the Laguna Art Museum, where he was active in organizing fundraising events. Reilly was a fervent Democrat. He loved to argue about politics, and he was passionate about the candidates he supported. He was loving, generous, witty, and dedicated to changing our political system to allow for equality for all. He loved high-tech gadgets (such as his Apple watch) and helped many friends become acclimated to the world of technology. Reilly is survived by Melanie Willoughby, of West Windsor, N.J.; and Verna Rollinger, of Laguna Beach, whom he considered family; and many friends. His remains will be scattered in the Pacific off Laguna Beach, a place that he loved and called home. Donations in his name may be made to the Human Rights Campaign Fund or the Laguna Art Museum. DOUG WAS A WONDERFUL PERSON AND WILL BE MISSED BY ALL WHO KNEW HIM. MY DEEPEST SYMPATHY WISHING COMFORT FOR ALL KNEW HIM. I have known and worked with Doug for the past several years and always found him to be helpful in the work I was doing for the village of Laguna Woods. He was attentive to our needs and when he didn’t know an answer he would be sure to either point me to the person who did or do some research on his own and get back to me. He was a wonderful person and I for on will sorely miss him. I too will miss Doug. He always was a gentleman; thoughtful, intelligent, reasonable, honorable. and willing to consider conflicting views.